The majority of Midwest fire departments/districts, along with many other regions within suburban America, operate with limited staffing (three or less firefighters) and without a dedicated truck company. The answer is customizing and implementing preferred operating methods which will serve as a fire ground playbook, tailored toward each organization’s specific capabilities. This course will discuss how to achieve fireground objectives by developing consistent operational standards which adhere to safety, effectiveness and efficiency. This approach begins with an honest self-assessment of an agency’s capabilities in relation to service delivery as they are constrained by resources, staffing and response area characteristics. Secondly, the discussion will focus on developing SOGs reinforced by fireground experience and an effective training program. How do you implement initial tactical actions on the fireground as a officer in a quint or partial quint concept? Do you flip a coin to decide between operating as an engine or truck company? 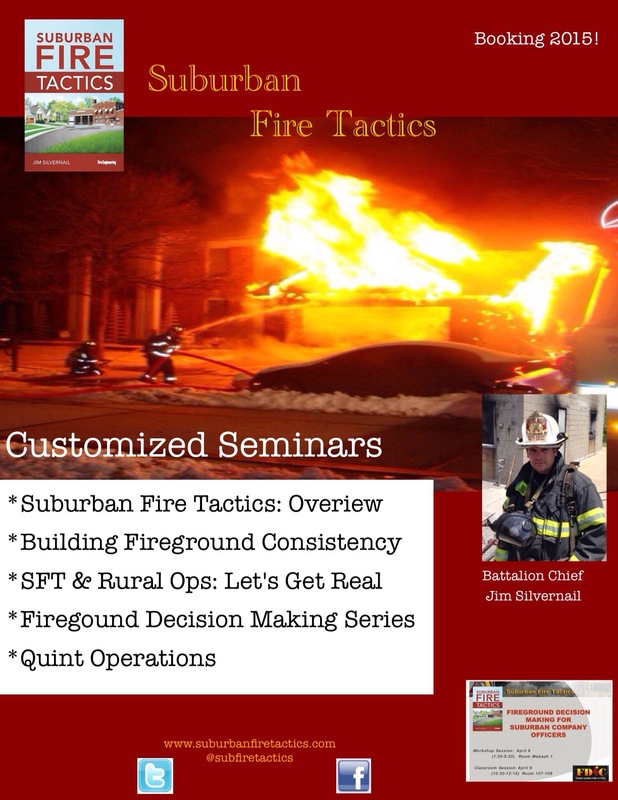 This presentation is designed to demonstrate the critical importance of having educated, experienced fireground decision making processes and to stimulate discussions toward achieving consistently safe coordinated fire attacks. It should be noted that this class is not exclusive towards any regional demographic. It is beneficial and pertinent to urban, suburban and rural operations.